This dark umber is extracted in the regions of Italy, France, Germany and Cyprus. This pigment was already used in cave paintings in the Neolithic era. 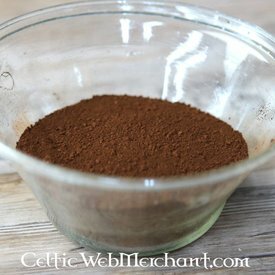 This umber is suitable for making different brown pigments. Roasted means actually baked, because of this the omber has a chestnut like color.